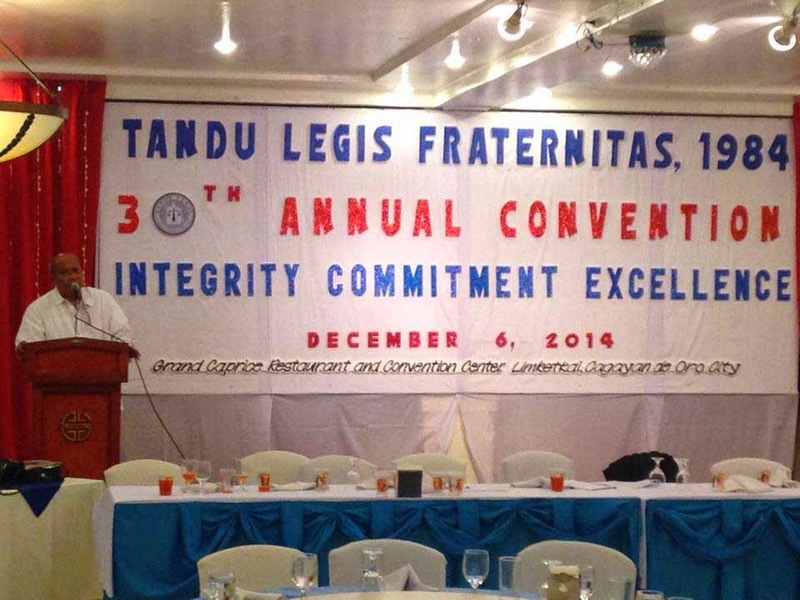 Hermano Arlou Adrian M. Linaac is elected as Supremo of Tandu Legis Fraternitas in its recently concluded 30th Annual Convention held at Grand Caprice Restaurant, Cagayan de Oro City. 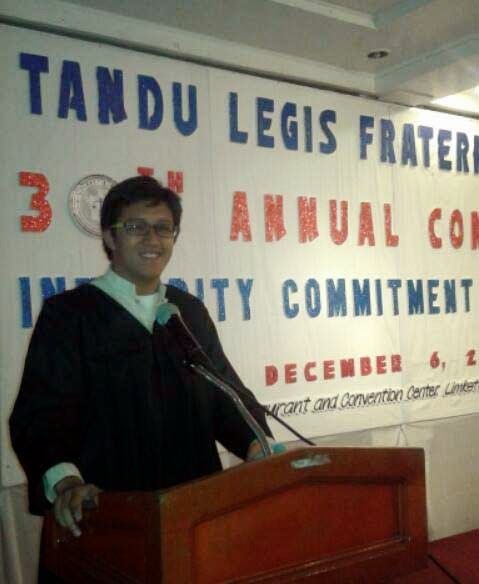 Hermano Linaac is a 3rd year law student of Liceo de Cagayan University College of Law. 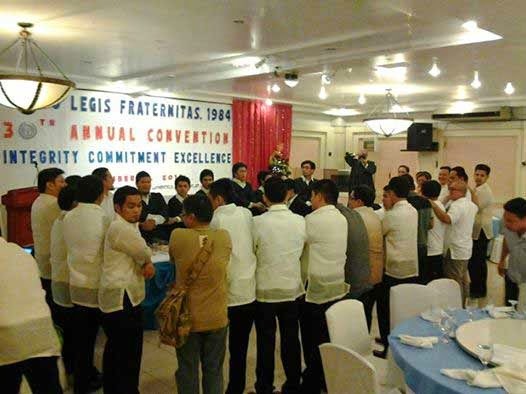 Supremo is the highest position in the Consejo Del Tandu of the fraternity. 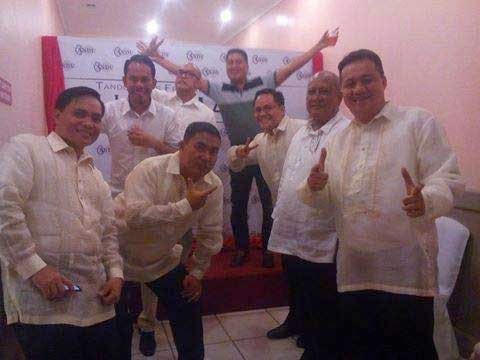 From left to right: Atty. Arubio, Fiscal Ravidas, HermanoBen Angagao, Atty. Kempis, Atty. 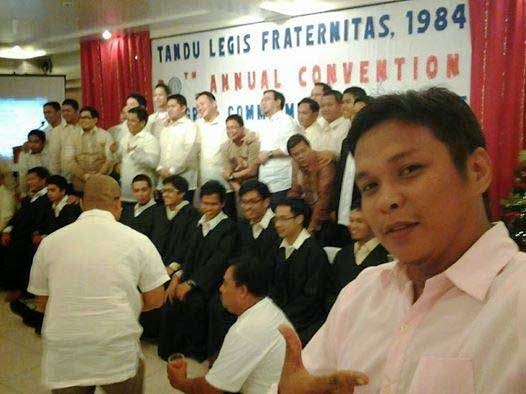 Matt Naduma, Atty. 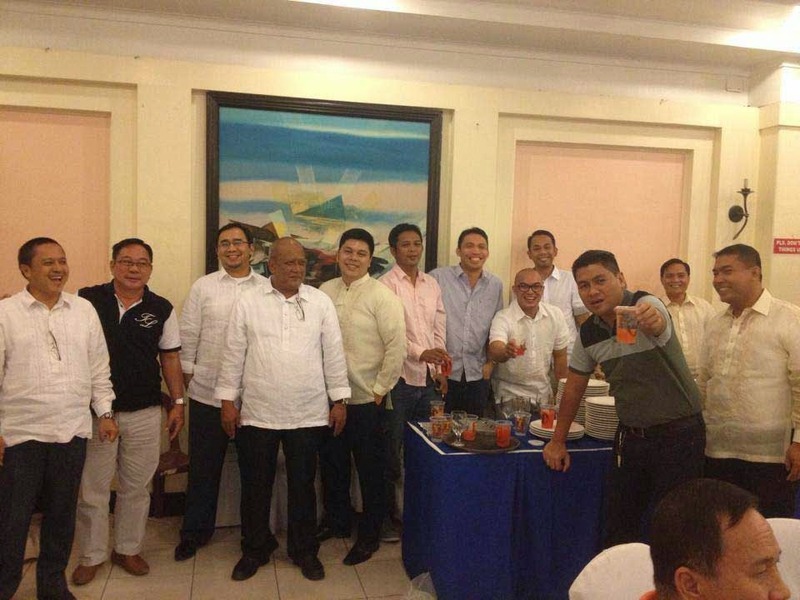 Namalata, HermanoAndres Eligan, Past Supremo Malawane, Founder Atty. Vedad, Atty. Amador, Councilor Abaday and Atty. Ike Naduma. Founder Atty. Noel Vedad giving his message as keynote speaker. 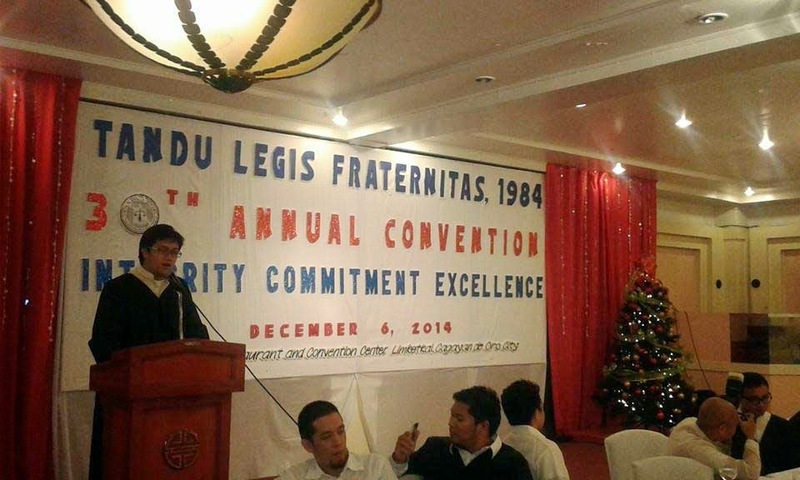 Supremo Arlou Adrian Linaac in his acceptance speech.